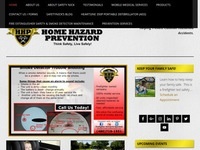 Home Hazard Prevention, LLC is the leader in Home Hazard Prevention in the Phoenix Arizona area. Let us help you with Car Seat Safety, CPR Training, Residential Escape Plans, Fire Safety, Baby Proofing, Smoke Detectors, Pool Safety, Fire Extinguishers, and General Household Safety Information. Safety is mostly about Prevention, Education, and Practice. Help protect your family by understanding the risks and knowing the procedures to take in the event an emergency occurs. Connect with us on Facebook for important tips and deals. Home Hazard Prevention has won the 2015 Manufacturer’s Alliance for Child Passenger Safety Education Grant. This award will assist us in our effort to keep educating and installing car seats for those that need extra help. And according the National Highway Traffic Safety Administration (nhtsa.gov), a majority (88%) of car seats is use have at least 1 gross misuse. We can help you lower that number while keeping you child safe! We have car seat technicians and CPR instructors on staff to help. The motto behind Home Hazard Prevention is Helping Prevent Common Household Accidents. Firefighters witness far too many preventable accidents that lead to emotional, financial, and personal ruin. This does not have to be and Home Hazard Prevention can help teach you how to live a safer, happier, healthier, and fuller life in your current and future residences. Spend a little time with Home Hazard Prevention, learn some valuable hazard recognition skills, and then you will be able to more fully enjoy your home with your family and friends for years to come! From learning about which type of portable extinguisher is right for you, pool safety rules, fire escape plans, early hazard recognition, and more; contact us today to get started! Home and personal safety is about Prevention, Education, and Practice. Each year more than 4,000 Americans die and approximately 25,000 are injured in fires many of which could have been prevented. Nearly 1,000 lives are lost to fires that originated in the bedroom and about 100 firefighters are killed in the line of duty each year. Each year in the United States fires kill more Americans than all natural disasters combined. About 80% of these deaths occur in residences and it is estimated that over 39% of residential fires and 52% of residential fatalities occur in homes with no smoke alarms. A working smoke alarm dramatically increases a persons chance of survival. Residential sprinklers have also become more cost effective to install in homes although few homes still have them. In just two minutes, a fire can become life-threatening. Senior citizens age 65 and older and children under the age of 5 have the greatest risk of fire death. The fire death risk among seniors over 65 is more than double; over the age 75 triple; over the age 85, 3 1/2 times the average population. Children under the age of 10 accounted for an estimated 22.2 % of all fire deaths. Remember to LIKE us and follow us on Facebook for special safety tips, tricks, techniques, events, and insider deals!